Overview of warehouse buildings 5 & 6 parking and produce delivery. 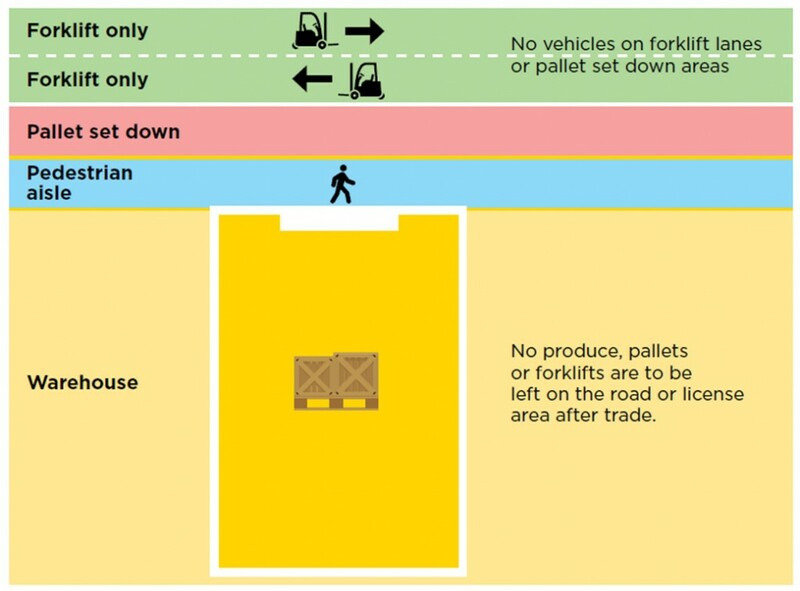 The diagram below outlines how the warehouse precinct should operate to ensure it is as efficient and safe as possible. For the Market to operate as it was designed, there are some important things you should know about parking. 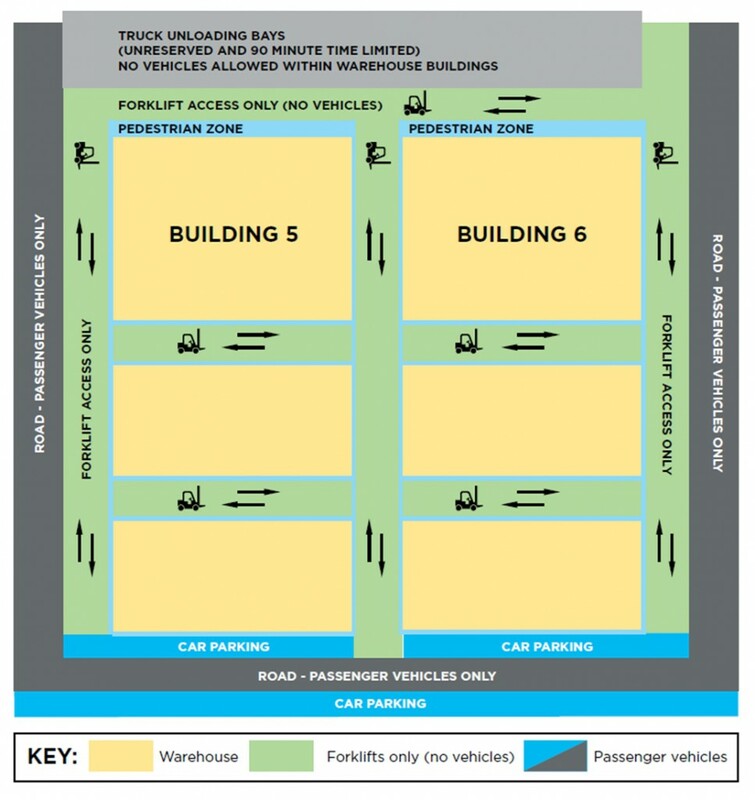 Each warehouse unit in buildings 5 & 6 are allocated one passenger vehicle parking bay. Each passenger vehicle bay is numbered, so they are easy to find. Make sure your parking permit is clearly on display. All vehicles must display a parking permit while within the Market. Parking permits are transferrable from one vehicle to another. Buildings 5 & 6 have unreserved truck loading bays (refer to plan over page). These bays are unreserved and limited to 90 minutes. Passenger vehicle parking is not permitted in this area. Deliveries to warehouses need to be made by fork. No vehicles are allowed within warehouse buildings.